Easily determine the water level in your Berkey System the using the sight glass spigot. 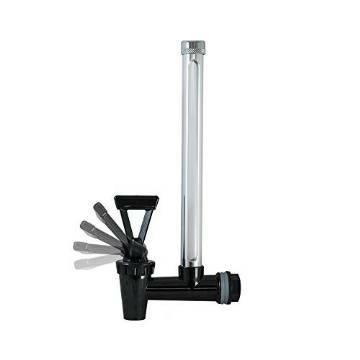 The spigot has a glass tube enclosed with Stainless Steel and a handle to release water. The glass tube shows the level of water in the filtered water chamber. 7.5" Spigot is for Berkey models "BIG" and "Travel"
10" Spigot is for Berkey models "Royal" and "Imperial"